Many people speculated and debated the location where the next Assassin’s Creed will take place. After seeing AC: Revelations people hinted Egypt, AC: Embers guessed China but it’s official part 3 will take place during the American Revolution. 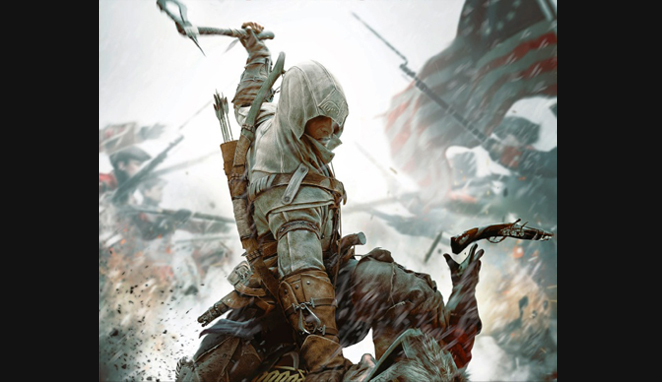 The boxart shows our assassin brandishing a tomahawk, a bow, a quiver of arrows and flint locked pistols. Most likely, the locations will explore the 13 Colonies and the Native American tribes around. Ubisoft said that they will reveal further information on March 5th. Remember check back then for more news.